The launch party for iConiq Style, a new fashion mobile app, was held at the ultra exclusive L2 Lounge last month. Yes. Yes, I'm late with this recap. While I'm always down for a fashion event, the main reason for attending was to support Dani as she strutted down the runway during the fashion show presentation. I got to hang out with others who came to support her, too: Sarah and Roxanne, Dani's husband, Dani's father and stepmom. We celebrated at L2 Lounge then kept the celebration going at the W Hotel. It was a pretty fun night. 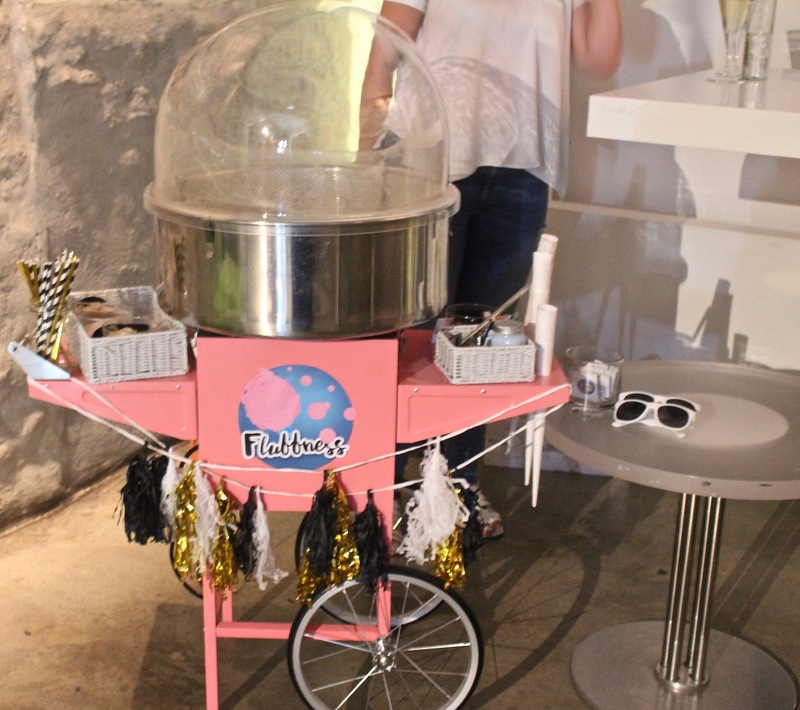 We were treated to custom made cotton candy from Fluffness. iConiq Style app is for anyone who loves fashion, obviously. The app allows you to organize your closet, get personal styling advice from the app's stylists, and make some money. The app offers free services and premium services for $1.99. It's available on the App Store and Google Play.